We found another cinema tickets offer. 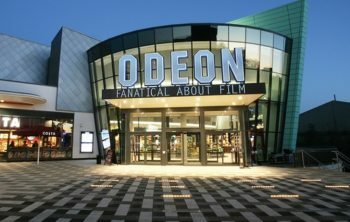 This time the deal is on Groupon and the tickets are for Odeon cinemas. For a limited time you can get three 2D tickets for £16.50 or five 2D tickets for £25. The link to the offer is here. On the Groupon page you can choose whether you want to purchase three or five tickets. Separate E-vouchers will be emailed to you after purchasing the ticket. This means you can either use them all for yourself or invite friends and family to the cinema. Vouchers can be redeemed online or at the box office. The tickets are valid at most Odeon cinemas except for ODEON Leicester Square, Tunbridge Wells, BFI IMAX and The Lounge at Whiteleys. There are also a few restrictions on movies that are excluded. You can find the small print on the Groupon site. All vouchers must be used by 11th October. Nectar have a decent cinema deal at the moment……Redeem 1,000 nectar points for a ticket at Vue. It states on the app that there is limited availability and the ticket is valid until the end of August next year.